The Morris Habitat for Humanity Youth United program is a volunteer opportunity for teens, kids and young people between the ages of 12 and 18, who work in a group and/or individually, to further the mission of the Morris Habitat for Humanity organization, specifically through fundraising, leadership, educating others, volunteering and advocating for affordable housing. What are the benefits to participating in Youth United? Build leadership skills and foster teamwork among diverse youth groups. 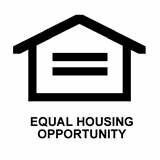 Gain a better understanding of the need for affordable housing. Learn real-world skills as you satisfy your school’s community service requirements. Discover potential internship opportunities with corporate groups. 1. Start a Morris Habitat Youth United Club at your school. Speak with your school’s principal or vice principal. Implement an in-school promotional campaign. Elect two co-chairs, a secretary, and a treasurer. Schedule monthly meetings for your group. Plan and coordinate fundraising events. Volunteer on construction sites and in the ReStore. 2. Join the Steering Committee or volunteer as an individual. Morris Habitat’s Youth United group is run by a steering committee typically made up of high school age students. This committee works together to plan Youth United projects, manage fundraising events, build membership, and foster community outreach. An adult adviser oversees the projects and provides leadership and support. Not ready to start a club at your school or join the steering committee? We offer volunteer opportunities for teens and kids in Randolph and throughout Morris County on a construction site or in the ReStore or you can plan fundraisers to support the Youth United home sponsorship.